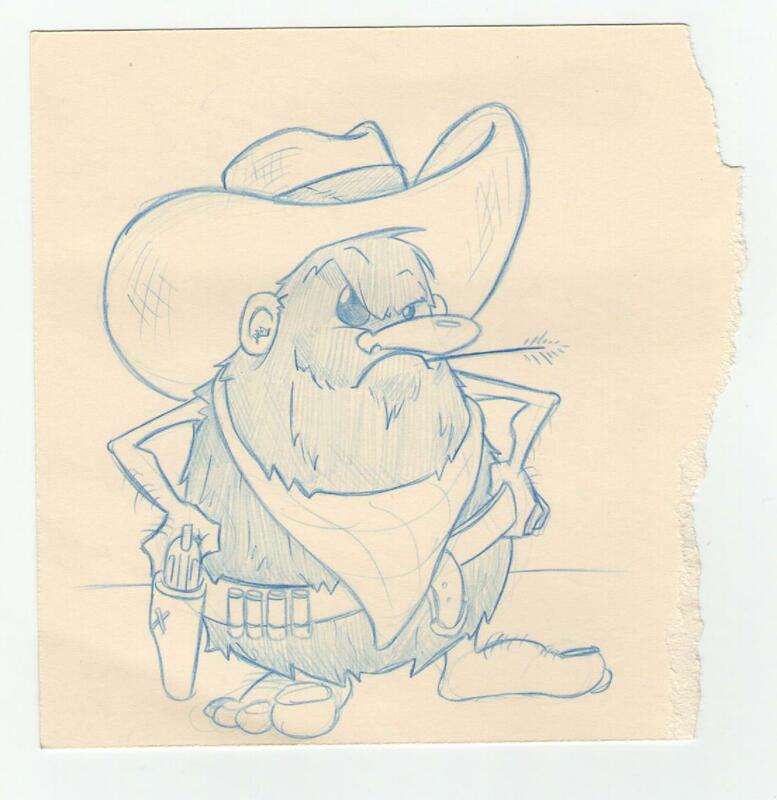 Another doodle on an old matting scrap. 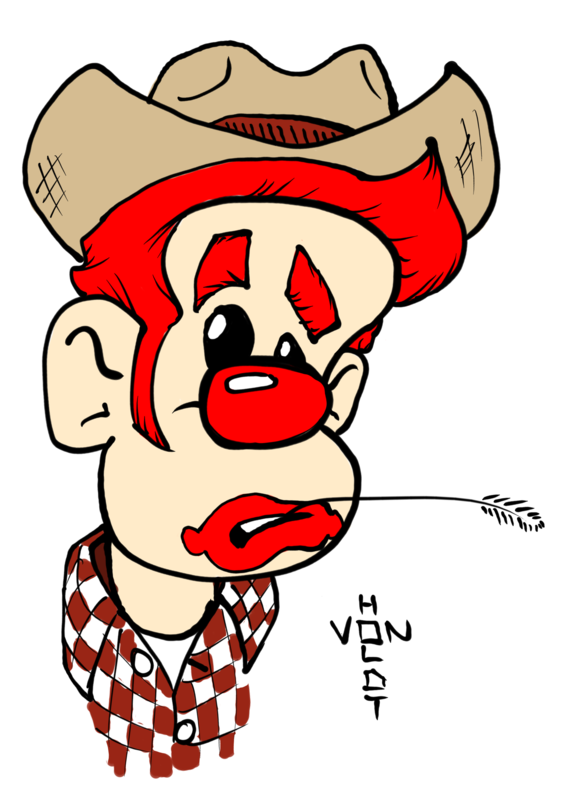 This one started out as a little captain cavemanish, and then I just threw some cowboy stuff on him. I really enjoyed the enormous hat! 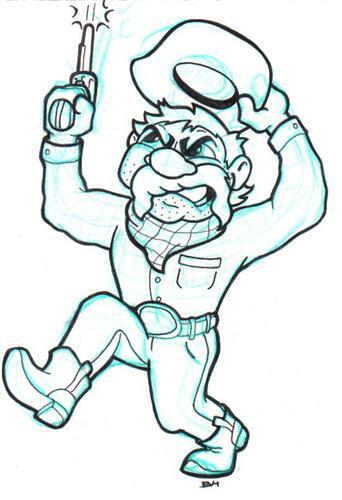 This cowboy idea popped in my head for no reason. Maybe a bird just pooped on his hat?